Customer satisfaction is top priority for our company. This is why we strive to deliver the best automated solutions for your yacht. Our shading solutions offer multiple opacity levels including UV protection, 50% opacity or even become blinds from a touch of a button. You can work with one, a group of shades or control all of them from our iPhone and Android app or even from our custom touch panels. On top of that, we are proud to introduce the unique in the industry lifetime warranty packages. 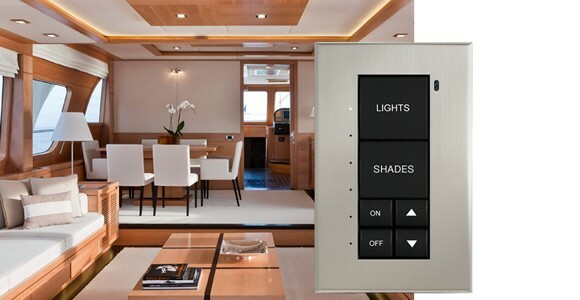 Get in touch with all the shades on your yacht or just a group by using our remote controller that makes motorized window shades a childsplay. Our team will guide you through each step of using and configuring the shades according to your preferences. UV can be quite damaging to fine art and furniture and this is why our shades come packed with powerful and intelligent UV filters. You will be able to enjoy the sunlight without allowing any harmful UV to pass through. 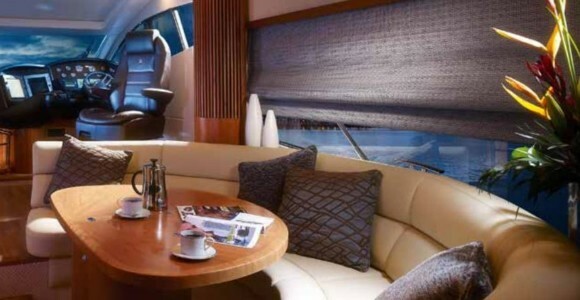 Of course, when is needed, our shades will completely block the sunlight transforming your yacht in a cozy environment great for watching a movie. 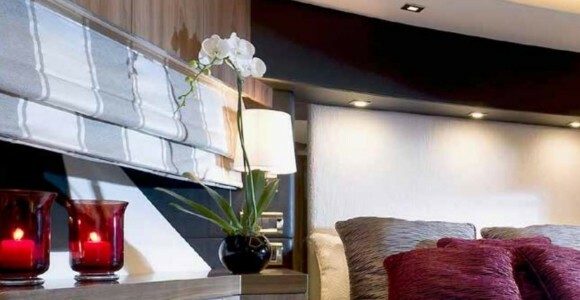 Not all yachts are built the same, and that is also available for our window shades. Our shades and blinds will adapt to your vessel's needs ensuring a perfect fit no matter what window shape you have in mind. People are usually accustomed to classic hatch coverings that are completely opaque. 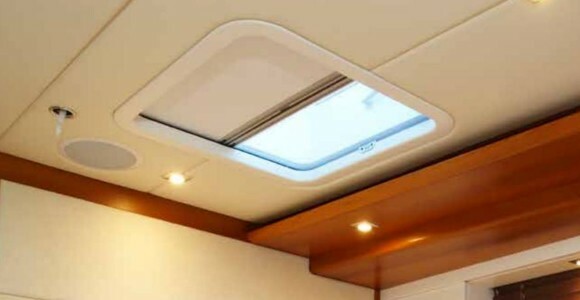 Our new hatch covering blinds will allow you to control how the natural sun will light up your boat. 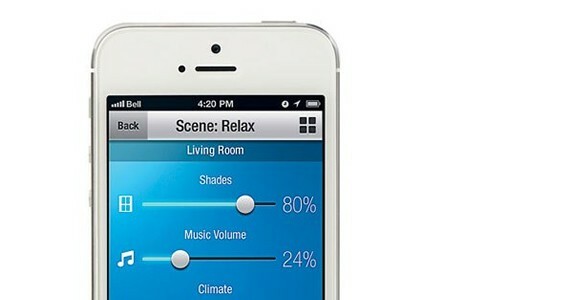 You can control the shades and blinds even from your mobile phone using the iPhone or Android application. This application allows you to monitor the shades and roll them up or down according to your needs. 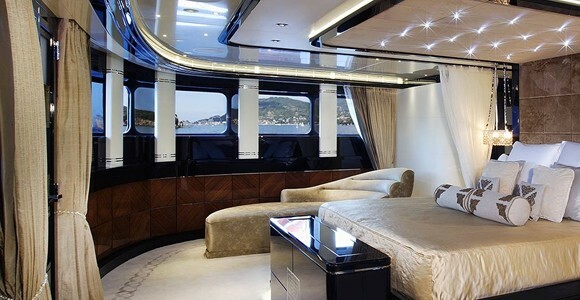 You can choose the fabric type, color or design that fits your vessel. On top of that, the color matching solution that we work with will be able to blend the shades in a way that you won't even notice them. 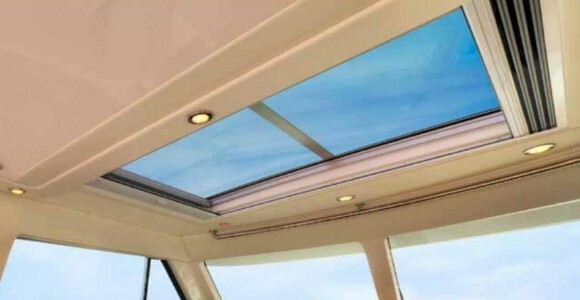 If you want to look at the beautiful sky, watch constellations or simply enjoy a sunny day at sea, roof blinds will help you do this with ease. Bring a touch of elegance even when it comes to your motorized window shades by using our custom fabric that reproduces Roman style. 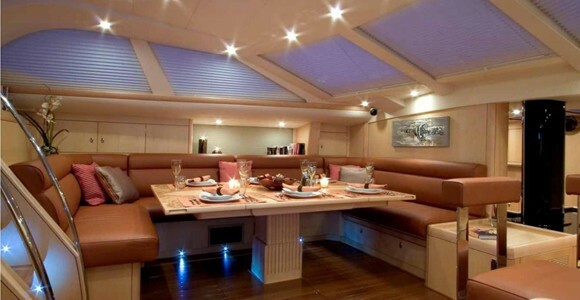 Easily transform your ship into a friendly and intimate water home. Yes, you heard this right. 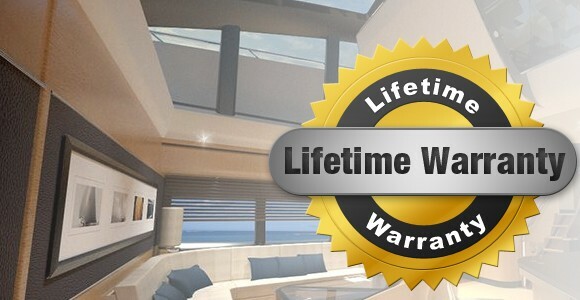 Our installation service includes lifetime warranty for the Crestron Shading solution system. This means we guarantee they will work flawlessly for many years to come.